Stock markets are flying high and the global economy has been humming along. But for how much longer? There's a lot to worry about: Economists warn that trade fights, geopolitical tensions, rising oil prices and emerging market crises could take a major bite out of growth. "The global economy started the year in relatively good shape. Unfortunately, the outlook [has] clouded," said Chris Scicluna, head of economic research at Daiwa Capital Markets. President Donald Trump has slapped tariffs on imports including steel, aluminum, washing machines and solar panels. Canada, Mexico, China and the European Union are retaliating. Experts say the economic impact from the new tariffs has so far been limited, but the pain could increase dramatically if a cycle of retaliation takes hold. "A worldwide escalation of tariffs ... could lead to cumulative trade losses equivalent to those experienced during the global financial crisis," the World Bank warned this week in a report. If political leaders follow through on their most dramatic trade threats, including US tariffs of 25% on $100 billion in Chinese goods, Barclays estimates that a full percentage point could be knocked off global economic growth next year. The World Bank is currently forecasting 3% expansion for 2019. Kallum Pickering, a senior economist at Berenberg bank, said that geopolitical risk is now at its highest level since the early 2000s. "The current global upswing depends on continued global trade growth — the two are closely linked," he said in a research note. "A threat to trade, and hence economic growth, is a threat to markets." Senior policymakers are calling on political leaders to reduce tensions, and quickly. 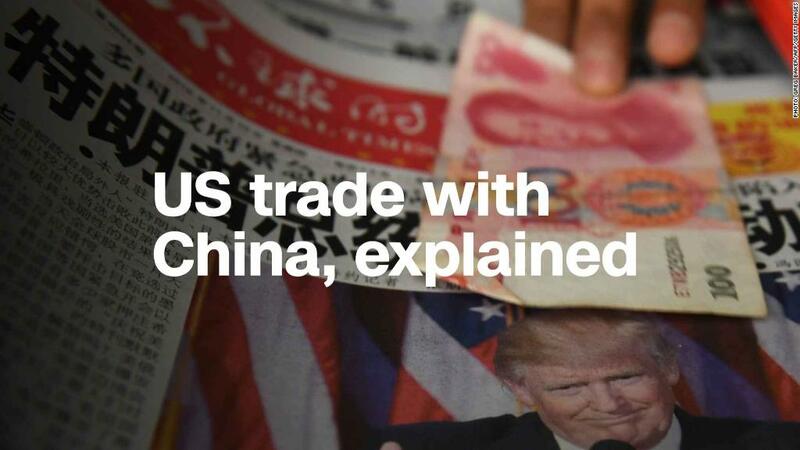 "Protectionism is rising everywhere ... and it's important at the international level that this is addressed," Swiss National Bank Governor Thomas Jordan told CNNMoney Switzerland on Thursday. The immediate risk of another eurozone crisis has faded, but investors are still worried about Italy. "We surely haven't heard the last of the Italian crisis as the new government challenges the European Union," said Kit Juckes, a strategist at Societe Generale. Economists are wary of the new government in Rome, which has big spending plans. A clash with EU fiscal rules could come later this year when the government presents its budget. Investors are already demanding higher interest rates to lend the heavily-indebted nation money. "The new government's commitment to the euro is questionable," said Jack Allen, European economist at Capital Economics. A new crisis could result in contagion, hurting business confidence and slowing investment in the eurozone, where growth cooled in the first quarter. Investors have been attracted to the United States because of rising stocks and bond yields, and a stronger dollar. That's causing money to rush out of emerging markets, where currencies including the Argentine peso and Turkish lira have been under major pressure. Brazil's currency is down 19% from its recent peak in January. Economists expect the trend to continue as the US Federal Reserve hikes interest rates. Central banks in emerging markets have been forced to hike rates to prevent their currencies from sliding too far. Turkey's central bank hiked interest rates again this week to nearly 18%. Rates in Argentina, which agreed a $50 billion bailout with the IMF on Thursday, stand at 40%. Economists say Brazil could be the next major problem spot. "In Brazil's case, which is only starting to emerge from a recession, having to tighten monetary policy is not very helpful," said Scicluna. Oil prices surged to their highest level in over three years last month, leading to concerns that businesses and consumers would have to cut back on spending in other areas to pay for higher energy costs. One sign of pain: India, the world's third largest energy consumer, sought assurances from Saudi Arabia, the world's largest oil exporter, that prices would remain "stable and moderate." Oil prices retreated after major producers said they would consider pumping more to ease supply and price concerns. US crude oil is now trading around $66 per barrel. For some, the damage had already been done: India's central bank hiked interest rates this week, citing a recent spike in oil prices as one of the main factors in its decision. Much will depend on whether OPEC and Russia agree to raise production at a meeting in Vienna on June 22.